Don’t be a tourist in Venice. Venice, the most unique city on earth, gets a reported 25-30 million visitors per year. Most tourists spend only 8 hours in Venice, coming in with a cruise or day trip. I admit to being guilty of bringing some of my Glam Italia Tour groups in for just one day when the itinerary won’t permit a longer visit. The way I see it, to spend only one day in Venice is a crime, but to miss Venice all together is a worse crime! Sometimes I get lucky and am able to stay in La Serenissima for several days. I was there for a week recently and with some days to myself was able to observe tourist culture in Venice from many different angles. 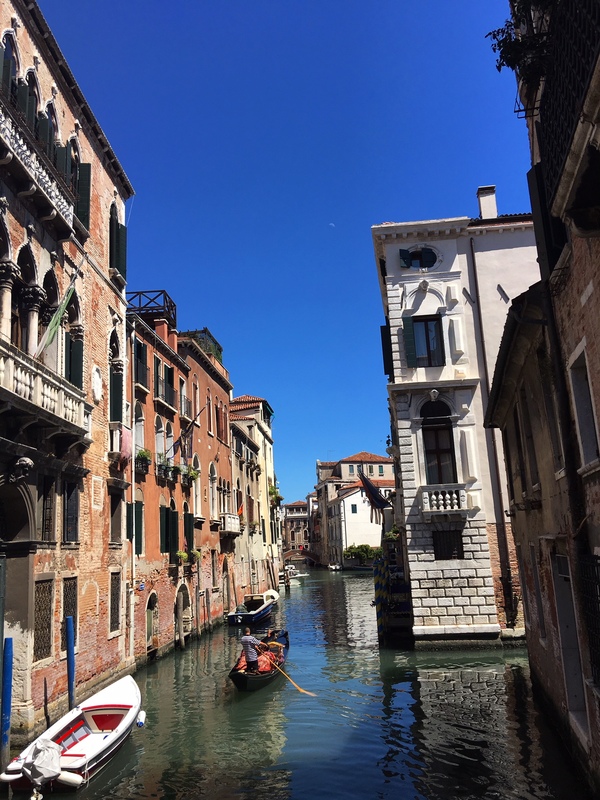 Unfortunately I found that unlike my little groups who are perpetually in awe of this magnificent place, and who are respectful and polite, there are an enormous number of tourists who come here and treat Venice appallingly. I worry about Venice. I worry that it may not still be around for my grandchildren, should I have any. I worry when I watch the wake from the cruise ships splash up against the walls of buildings that are slowly sinking. You should treat every place you travel to with respect, especially Venice. 1. Don’t Take A Cruise. The average cruise ship holds 3000-4000 people, all of whom converge on a very small area of the city at once. The day I left Venice I went past the cruise ships and counted 5 of them, which means that day there were probably 15,000 – 20,000 cruisers descending on the city and hovering in the same small neighborhood. Imagine that in your neighborhood at home! It would be awful. The problem with this is that Venice was not designed or built to cope with this influx of thousands of humans. In my opinion the cruise ships are contributing to the demise of the most unique city in the world. 2. Don’t Crowd The Bridges. The connection between the cruise ships and the bridges is significant. Venice is a series of tiny islands connected by bridges. These bridges were not built to take the weight of the thousands of tourists pouring over them from the cruise ships, and the volume of people is contributing to the destruction of the bridges. Not all the tourists are from cruise ships, plenty come in by train as well. One thing to remember when crossing the bridges in Venice is that these are the thoroughfares over which the people who live here go about their daily life. This is how they go to and from work, to and from their appointments, to and from everywhere they go during their day. Can you even imagine how annoying it must be to try and get to where you need to go and be stuck in the middle of a tourist crowd? Be respectful when crossing the bridges. 3. Don’t Throw Trash In The Canals. It is ridiculous to even have to say this, but don’t throw trash in the canals. While I was there this summer I was horrified to see all the plastic bottles and food wrappers hitting the banks of the canals with the tide. If you watch the locals moving around the city you will notice they don’t carry plastic water bottles with them and they don’t walk around eating fast food. That is the domain of the tourists, and it is tourists who are throwing this trash into the canals. Venice is divided into 6 neighborhoods or sestieri. (One sestiere, 2 or more sestieri) Cannaregio, the largest, stretches from the Santa Lucia train station to the Rialto Bridge. Santa Croce, the oldest and least touristy abuts San Polo, the sestiere that runs between Santa Croce and the Dorsoduro. San Polo is home to the Rialto fish market and Dorsoduro is home to the easily recognizable Guggenheim museum and Santa Maria della Salute church. San Marco meets Cannaregio at the Rialto Bridge and encompasses the area of Piazza San Marco, the Basilica, The Doges Palace and Bridge of Sighs, before it meets Castello the sestiere that ends at the lagoon, with the Arsenale shipyards and the Fondamente Nove vaporetto stop, which is the gateway to Murano, Burano and Castello. Most tourists stay in the area from the Rialto Bridge to the far side of St Mark’s Square. That wouldn’t be such a big deal except that we are talking about a very small area and an enormous number of people. Venice has so much to offer and so many beautiful things to see. Get out of San Marco and go explore some of the other sestieri. This is where you will see the magic of the city. When you wander along the smaller canals and the less tourist-populated parts of Venice you will fall in love with it. 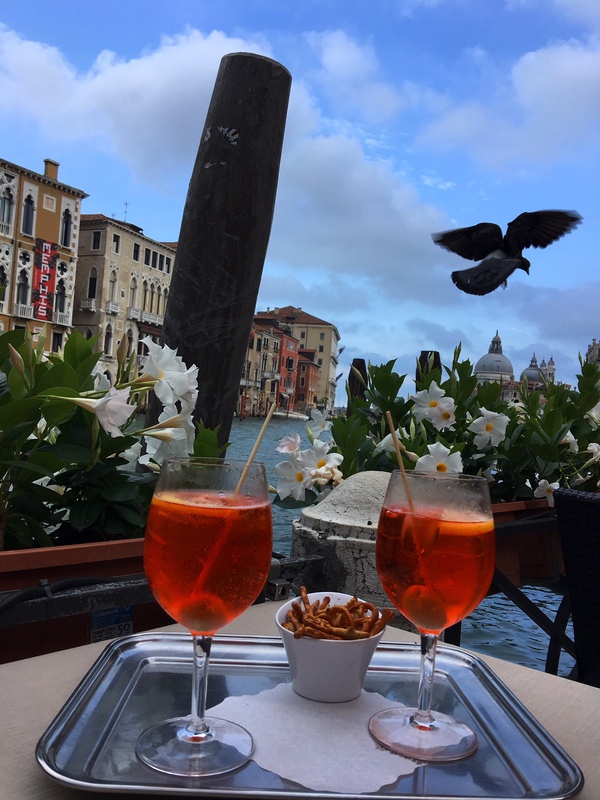 The cost of food and drinks is drastically less outside of San Marco than in San Marco, the walkways and bridges are not congested, and this is where you will find the artisan shops instead of the made-in-China merchandise that has flooded the market. 5. Explore The Other Islands. The islands of Murano, Burano, Torcello and Lido are all fabulous and easily accessible by vaporetto. 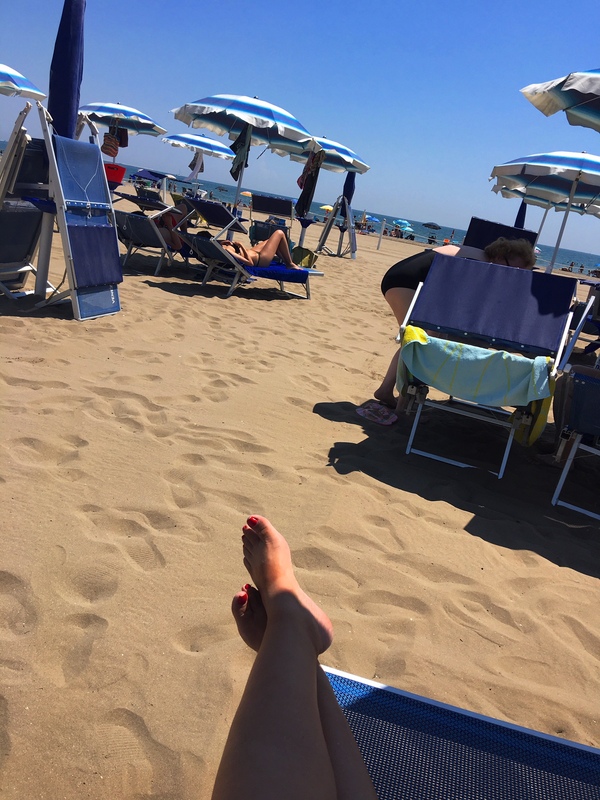 You may not think about a day at the beach while in Venice, but the beaches on the Adriatic side of Lido Island are fabulous! The water is warm and the beach is clean. 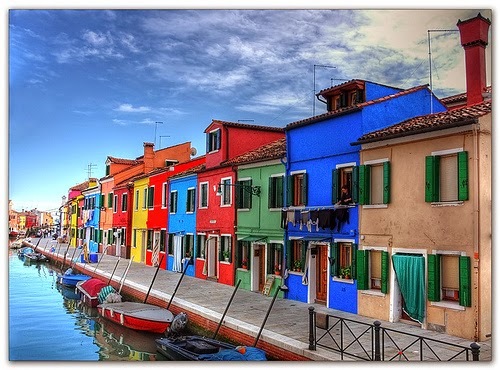 Although it looks similar to colorful Burano, Murano is quite different. Either island is a fabulous place to get away from the crowds and enjoy a quiet lunch. Torcello is very different again. The island is small and the main attraction, the basilica, is spectacular. Don’t buy cheap, knock off, tourist souvenirs. The vendor stands in Piazza San Marco and along the waterfront, and the cheap souvenir shops all sell cheap trinkets made in China. This is not merchandise made in Venice, and not only does it not help the Venetian economy, it hurts it. Venetian merchants have had to move out of the city, their shops taken over by the sellers of this junk. Why not be respectful, wander the other sestieri, and buy from the remaining Venetian artisans in their artisan stores. Before it’s too late. The exam was really hard and it took months to pass all its steps. Written exams, oral exams, compositions about the history, the art and the city in all its aspects. Its museums, churches, palaces, even the ones that no longer exist… all its narrow alleyways! And of course, that wonderful and complex environment, the Venetian lagoon. And wait, let’s not forget there’s more. Language tests, three languages spoken fluently required. University degree required. When Luisella from SeeVenice.it took her exams hundreds of people applied, only 26 were approved. Tour guiding here is a serious profession. 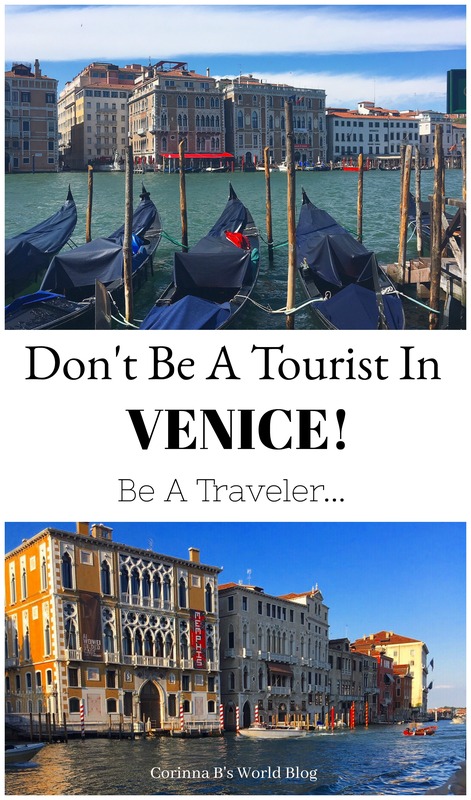 Make sure the guides you hire are licensed local guides in Venice, not interlopers. ** A word to the wise. Venice is very small and all the professional guides know one another. Non-licensed guiding in Venice is forbidden. *** Disclaimer: I don’t know Luisella and haven’t booked See Venice for my tours. I work with another guide in Venice. However, if I am quoting her website it is only fair that I put a link to it. And face it, in order to be a licensed guide in Venice you have to be both qualified and good, so I don’t hesitate to refer her! 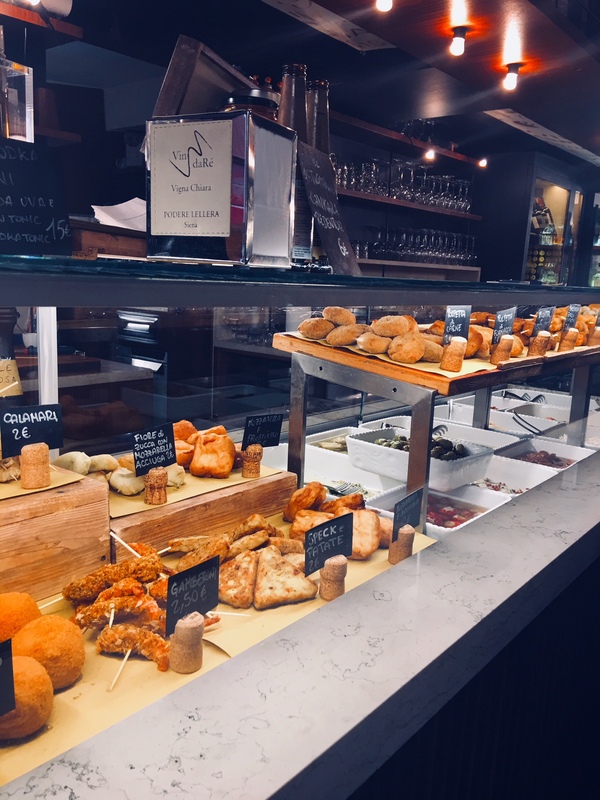 Cicchetti is the tapas like finger food famous in Venice. This cicchetti bar was in San Polo along a little side street. Italian cuisine is entirely regional. 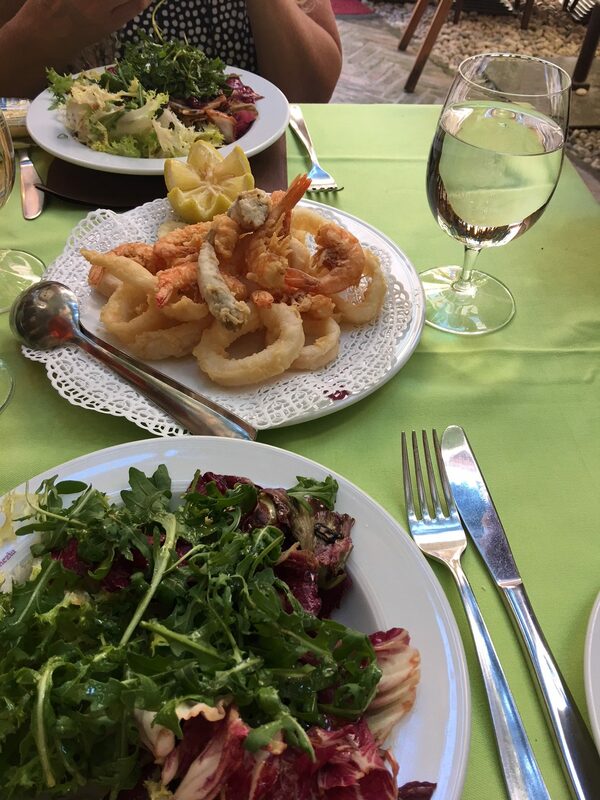 The food is different everywhere you go in Italy and one of the big tourist mistakes is ordering what we here in the USA consider to be Italian food, regardless of where you are. Fritto Misto and salad for lunch. Lasagna and pizza are not Venetian foods, so don’t order them here. Try cicchetti, (the local version of tapas), baccala’, and the famous local pastries. My book Glam Italia! How To Travel Italy has a chapter devoted to Italian cuisine with a region by region guide to what to eat, where. 9. Know Where You Can’t Eat. There are places where it is not ok to eat. Don’t eat sitting on the steps of churches, on monuments or the steps of monuments, or on the steps of bridges. This is actually punishable by fine. If you want to have a picnic or eat while on the go, there are plenty of open spaces, parks and benches to find a good spot at and have a meal with a view. Piazza San Marco is considered to be a monument. You can eat at an outdoor café or restaurant there but technically you cannot just buy a sandwich and a drink and hang out in the piazza eating. Piazza San Marco is famous for its pigeons. You can stand in the piazza with your arms out wide and pigeons will land on you. To me, pigeons are flying rats, so I would rather die than have them on me, but plenty of tourists enjoy the idea of having pigeons land on them. A fearless pigeon stealing pretzels from our table. Just don’t feed them. 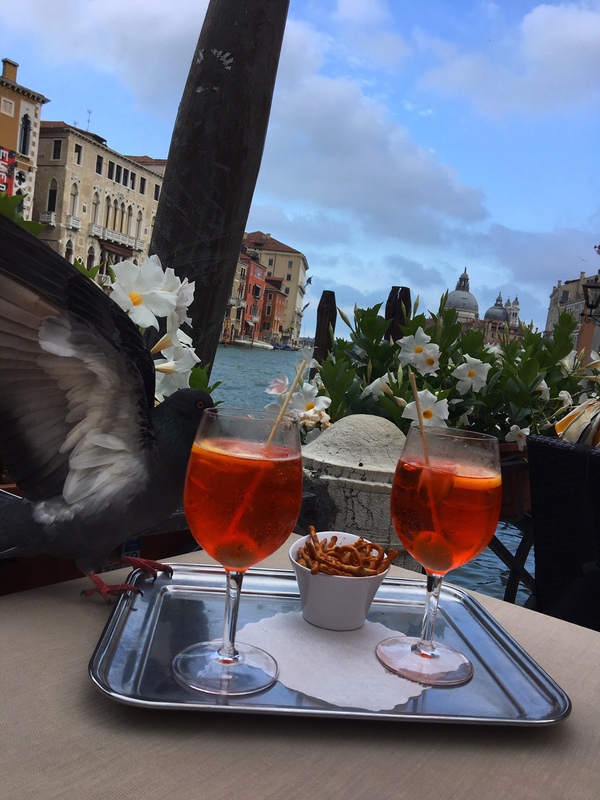 Venetian pigeons are quite aggressive. They are used to tourists feeding them and will fly up and try to steal food from your table. So as a sign of respect, don’t feed them. Swimming in canals, bathing in the fountains, and wearing swimwear in the streets is both forbidden and punishable by fine. There are great beaches on Lido island if you want to swim. And no matter how hot it is, it is never appropriate to wander around town in your swimwear. Have a little respect. Before you say that cruise tourism is funding the city, stop and think for a moment. The thousands of tourists arriving on ships every week aren’t filling the local hotels. They aren’t eating breakfast or dinner in Venice. They buy a gelato, and maybe some lunch, then buy some made-in-China trinkets before heading back to the ship. Some will buy tickets into museums and the Doge’s Palace. A few will spend money on gondola rides. But when you weigh out the dollars coming in versus the damage cost to the most unique city on earth, a city already facing the reality of sinking, is the cruise business really worth it? What are your thoughts on tourism in Venice? Let me know in the comments below. 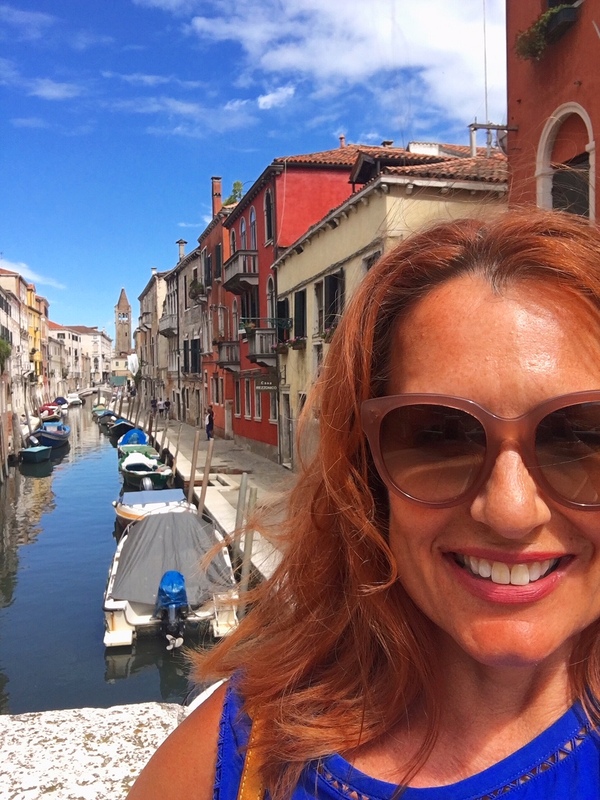 Would you like to know my Top 10 Secret Spots in Venice? These are places that won’t be on my blog and are only available to my private list members! Have you been to Venice recently? Are you planning a trip to Venice? Maybe you’re just interested in the most unique city in the world? 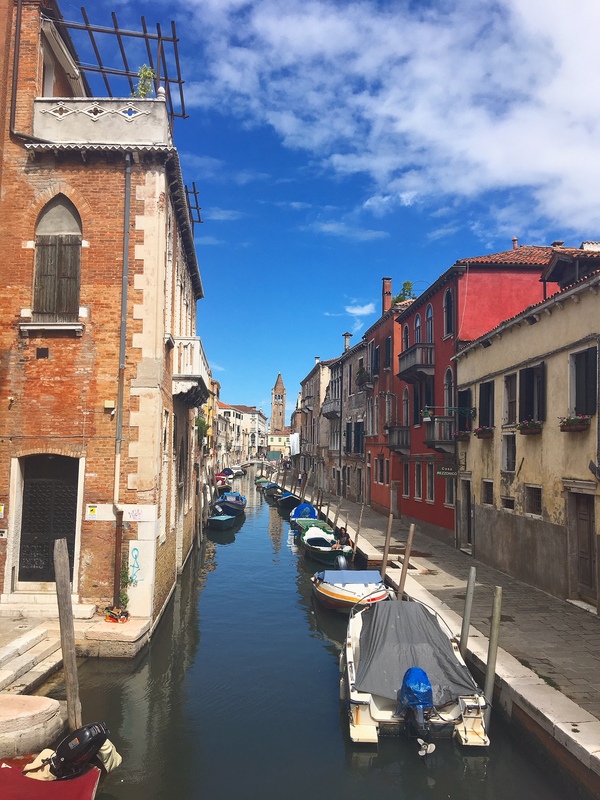 There is so much to see and do in Venice, and amongst all the options available to you are some trips to the outer islands. 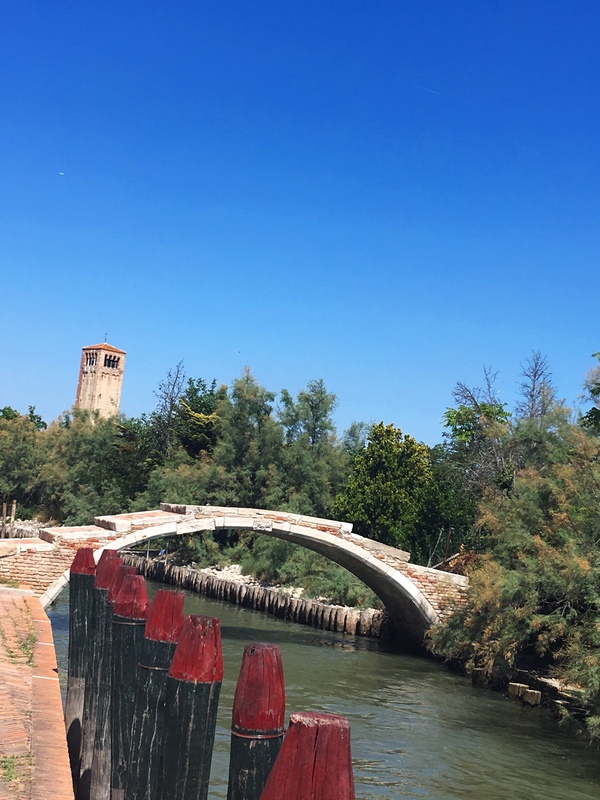 Everyone hears about buzzing out to Murano and Burano, but fewer seem to make their way to Torcello. 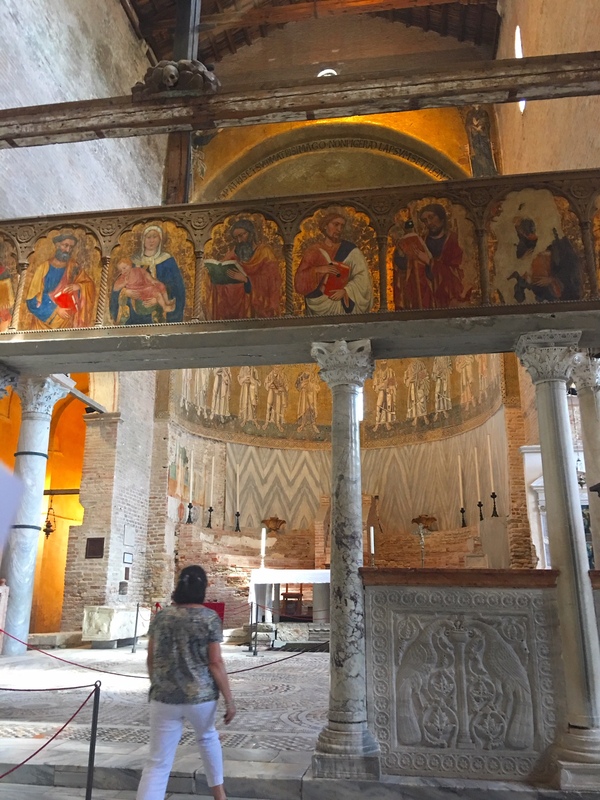 One of my Glam Italia tours this summer had several days in Venice, and Torcello was on the schedule. I was amazed at how many people tried to talk me out of taking people to this more remote island. I hadn’t been for a few years, but remembered it as being special, so thankfully I didn’t listen. 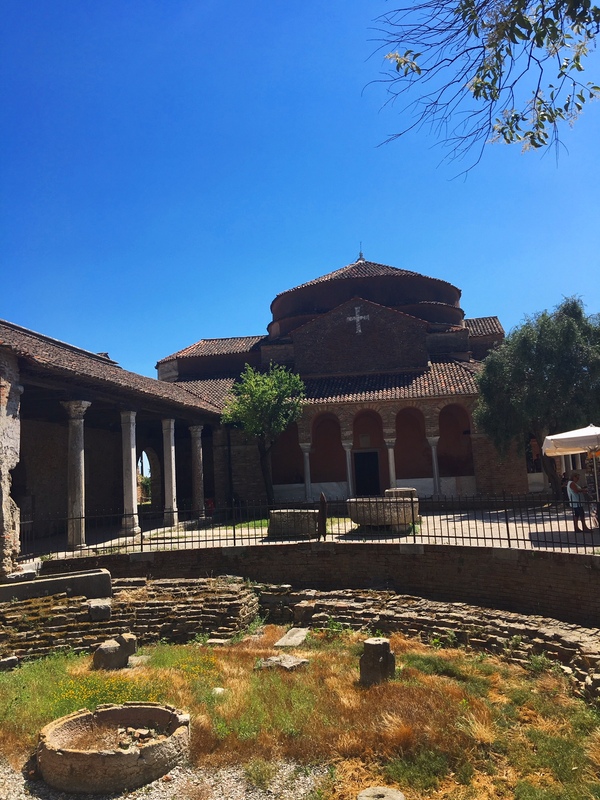 In case you are hearing some of the same, I want to make sure you add Torcello to your list of must sees. 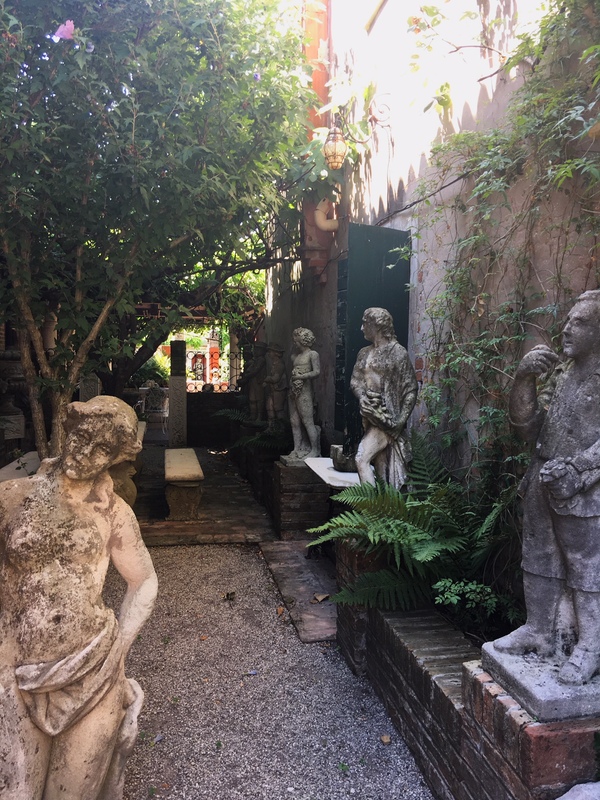 Scroll to the bottom of this post to get my free Top 10 Secret Places In Venice PDF! Torcello was the first of the lagoon islands to be inhabited. After the fall of the Roman Empire the Veneti fled the mainland for the safety of the island, escaping the recurring barbarian invasions, especially around 452 when Attila The Hun wrecked his path of destruction through the area. Over the next 200 years the relative safety of the island lead to a recurring influx of refugees including the Bishop of Altino. Torcello became the official seat of the bishop in 638. The island’s importance as a trading center grew and by the 10th century between 20,000 and 35,000 people lived there. 20,000 is the most commonly used number, but some archeologists are saying it was more likely around 3000. The successive plagues of the middle ages devastated Venice’s population. The growing marshland around Torcello attracted malaria carrying mosquitos and traders stopped coming to the island. In 1689 the bishop’s seat moved to Murano, and by 1797 the population was down to 300. The current full time population is 10. 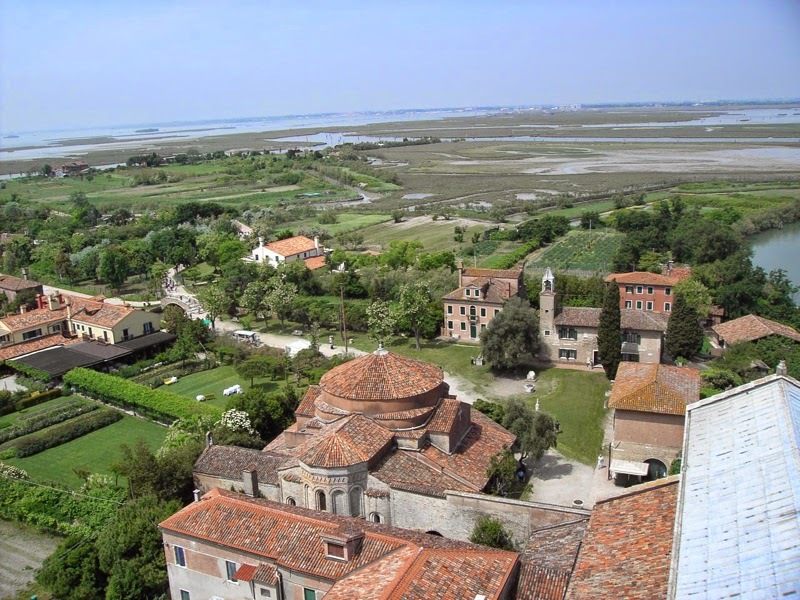 Torcello is quite small, with the main tourist attractions all centered in one area. From the vaporetto it’s an easy 10 minute walk along the canal past restaurants and bars into the heart of the tiny town. Most of the palazzi, the parishes etc are all gone, the materials having been recycled into other buildings around Venice, but there is still one medieval palazzo surviving. In the heart of town the Museum of Torcello (1887) has both medieval and modern works of art as well as archeological finds. 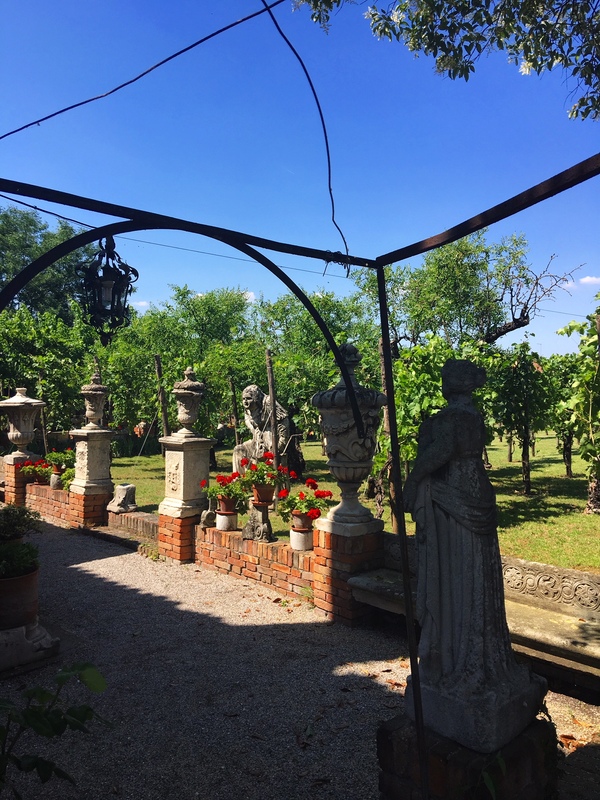 Around the museum you will see statues, pieces of columns, and stone reliefs, backing onto a lovely vineyard. 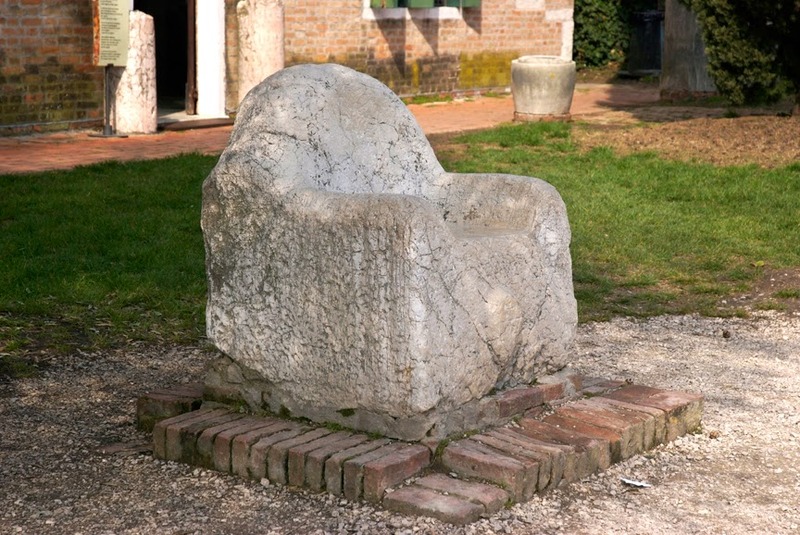 Also known as the Throne of Attila sits there too, but is actually thought to be the chair used by the bishops of Torcello, not the Hun. Opposite the museum there are 2 churches. 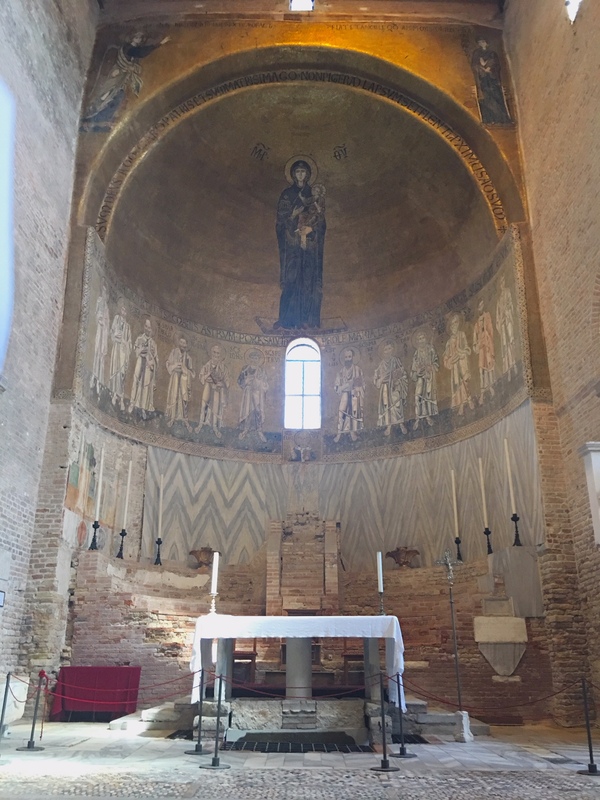 This Greek-style church was built in the 11th century to house the remains of 15 year old Fosca of Ravenna, martyred in the 3rd century, and who’s bones lie under the alter. The basilica stands next to Fosca, and on its own in my opinion, is worth making the trip to Torcello. Originally built in 639 but rebuilt in 1008 Santa Maria Assunta is home to 11th and 12th century Byzantine mosaics that are just breathtaking. Newly restored and just ethereal when the light hits them, these mosaics are sensational. 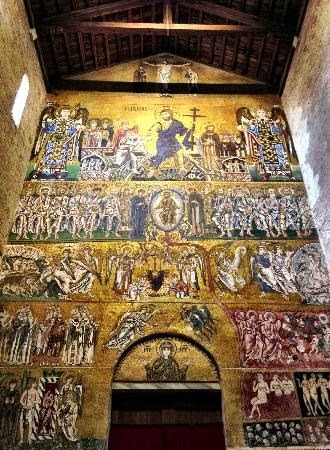 The mosaics taking up most of the west wall at the entrance, are complex and majestic. The Crucifixion is at the top, above the high energy Harrowing of Hell, which in turn sits above the Last Judgement. The series of The Damned, to the right of the doorway is quite fascinating all by itself. The bottom panel to the right of the door shows what happens to the envious, with worms coming out of the eye sockets of skulls. It must have been quite terrifying to people who couldn’t read, only knew life here in this place, and got all their information from the church. 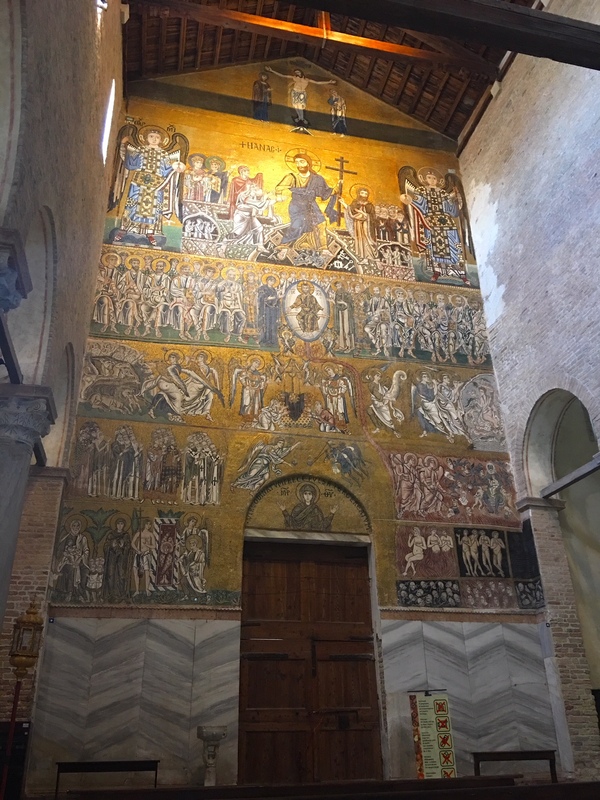 At the opposite end of the church the main apse features the huge and famously beautiful mosaic of the standing Virgin Hodegetria alone against the gold background, above a register of saints. She really is majestic, and completely mesmerizing. I could sit there looking at her for hours. Torcello is only a few minutes from Burano by vaporetto. From Venice you can get the 12 Vaporetto at Fondamenta Nove. The 12 will take you to Murano, Torcello and Burano. I have made a free downloadable PDF with my Top 10 Secret Places in Venice. 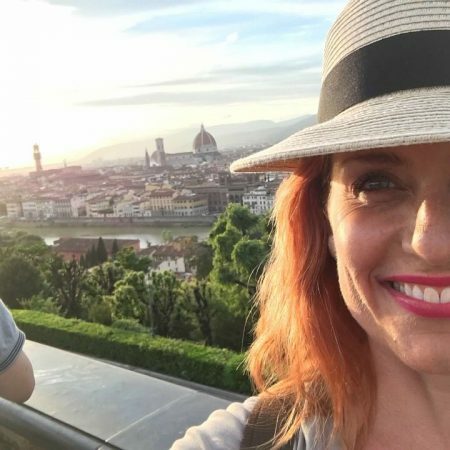 This has my favorite restaurants, places to go and things to do in Venice, all of which are super special and are far from the crazy crowds! take the time to explore the northern lagoon islands for a completely different Venetian experience. Start with a trip to the glass blowing island of Murano. Don’t take a “free” boat trip from the city center – these are paid for by the glass factories and you will be under significant pressure to buy glass. Also this is often a one way free ticket so you may have to find your own way home. Instead take a vaporetto across, bypass the Colonna and Faro stops, and get off at either Museo or Venier. Murano has been the home of Venetian glass blowing since1291. when the wooden buildings of central Venice were considered to be at too great of a fire risk so the furnaces were moved across the water. The population of 5000 swells by day with glass factory workers coming over from the mainland. In a centuries old tradition apprentices learn flamework, twisting and blowing from master craftsmen. 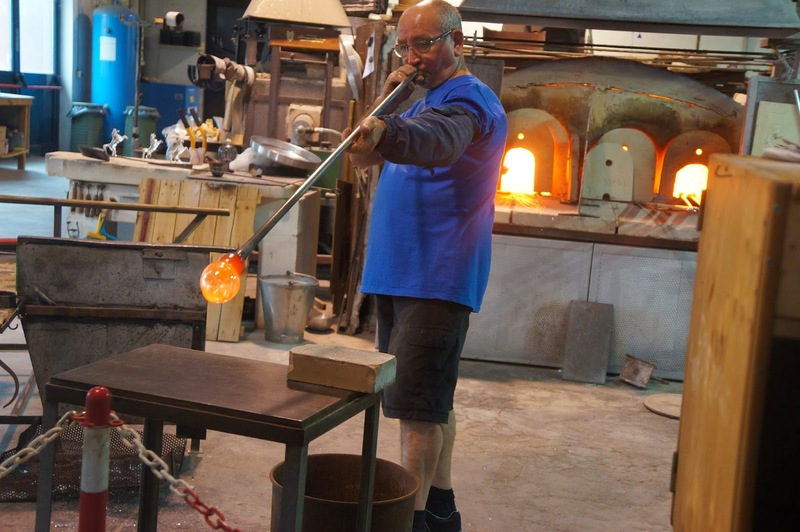 Take a factory tour and watch a glass blowing demonstration and find out more about the history of Venetian glass at the Museo dell’ Arte Vetraria. 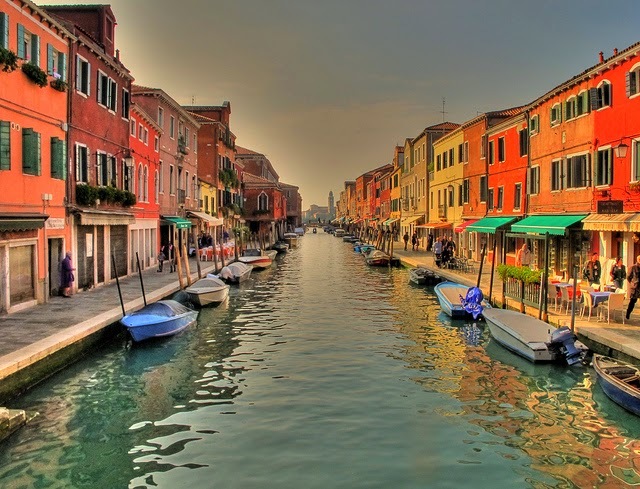 Make sure you allow yourself time to walk around Murano’s town center and get a feel for this wonderful place. 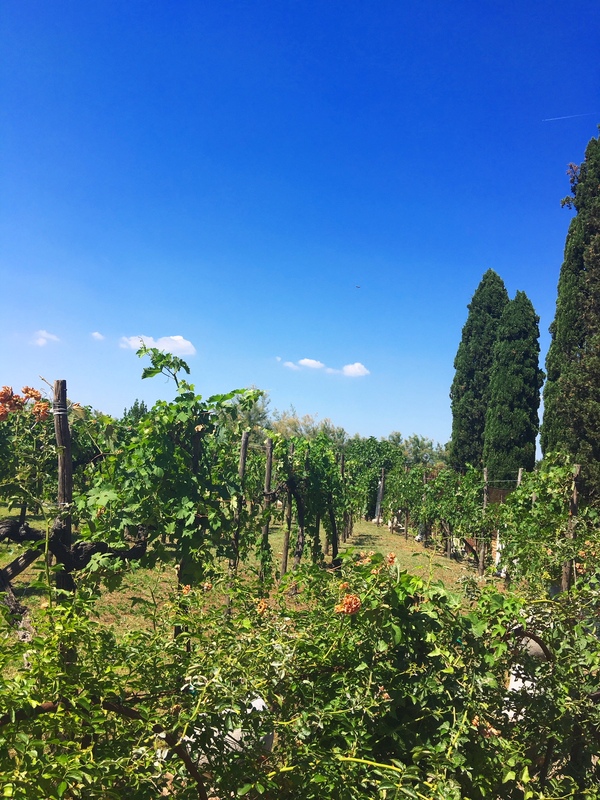 Explore it’s canal system (including it’s own Grand Canal), the floating market, and the mosaic floor of the 12th century Basilica dei Santi Maria e Donato. Another must see is the parish church San Pietro Martire with its two beautiful Giovanni Bellini paintings. Murano is lovely to stroll around. If you are buying glass avoid the cheapie tourist glass – it’s unlikely to have been made here. Choose a reputable showroom and get the real thing. 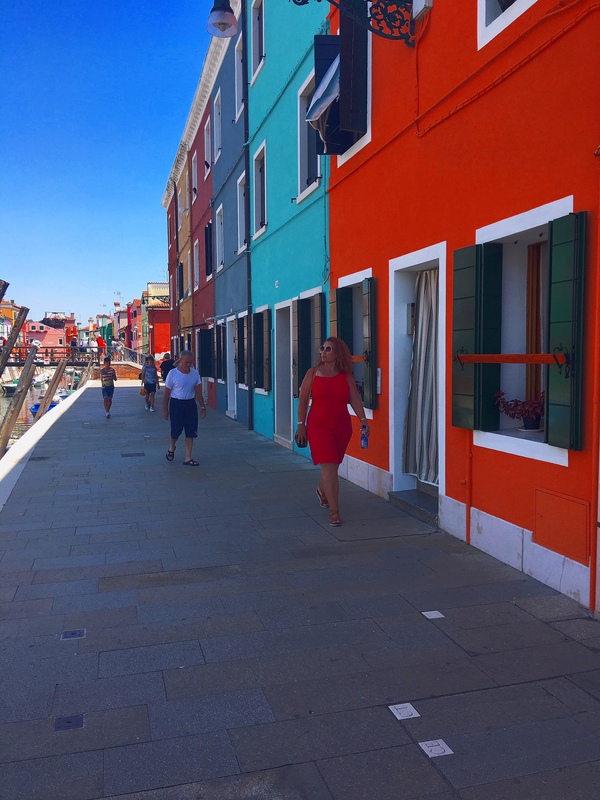 From Murano take a vaporetto to Burano, the lace island. 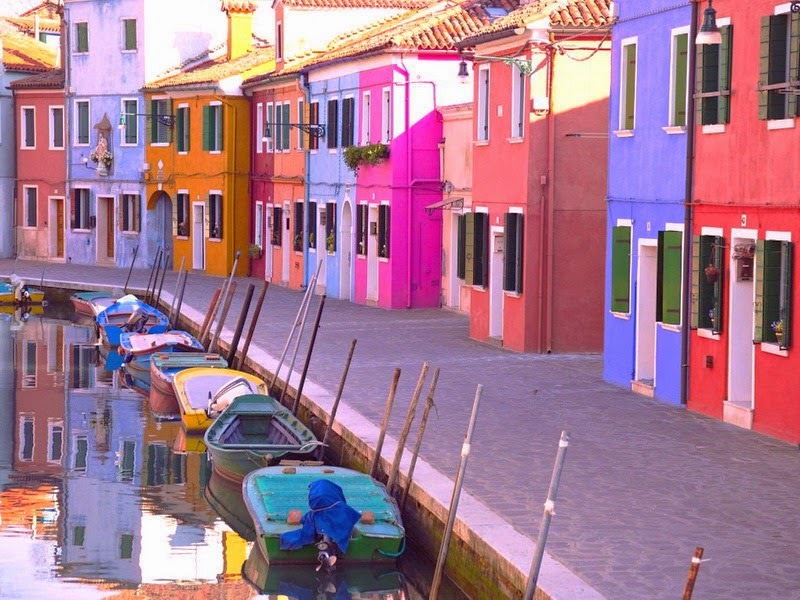 For centuries Burano has thrived as a fishing community. While the men would be out at sea fishing their women would stay home making lace. The men would paint their house bright shades of blue or red or gold so that they could spot their home from the sea when they were fishing. Consequently the island is a riot of color with canals full of fishing boats and nets. Lace making started here in the 15th century. The Burano-point and the Venetian-point evolved and the lace grew in demand all over Europe. A lace school was established in 1870 to keep the lace making skills passing on to younger generations. It still exists, you can go there to see lace being made, and it also houses the lace museum. Burano is conntected to the smaller neighboring island of Mazzorbo by a bridge. Its lovely to stroll around, and from the bridge you have a wonderful view of Venice. A word to the wise: Burano lace is very expensive. You can find it in the more expensive stores on the island. The endless stalls and vendors on the streets selling cheap lace import it all from China, so it’s not legit. Quiet, sparcely populated Torcello is Venice’s oldest continously populated region, was Venice’s earliest settlement, settled in the 5th century and at one point in the 1300s housing a population of more than 20 000. In the 1200s the lagoon around Torcello slowly became a swamp, attracting malaria carrying mosquitos. 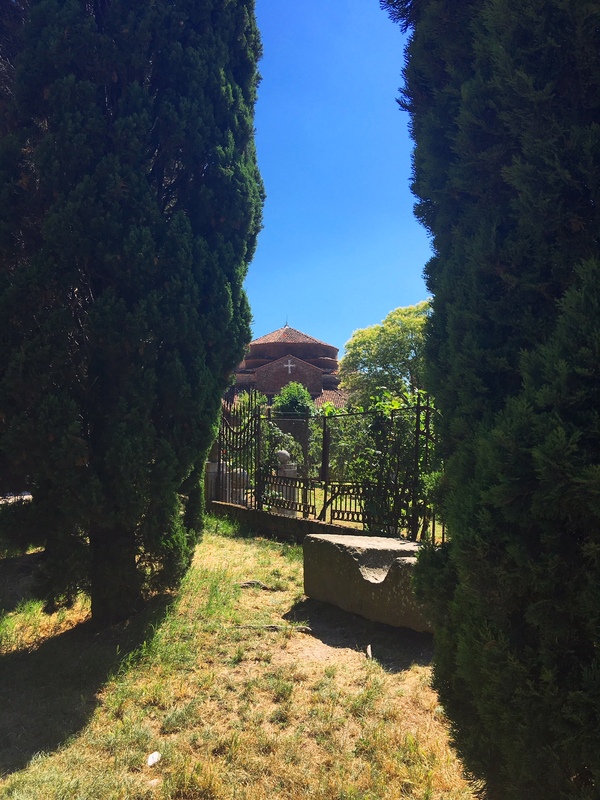 As the Rialto area developed Torcello’s inhabitants fled to Venice leaving behind an 11th century church, a great basilica, palaces and houses that decayed, and canals that silted up. Today there is only one muddy canal running from the pontile to the piazza. 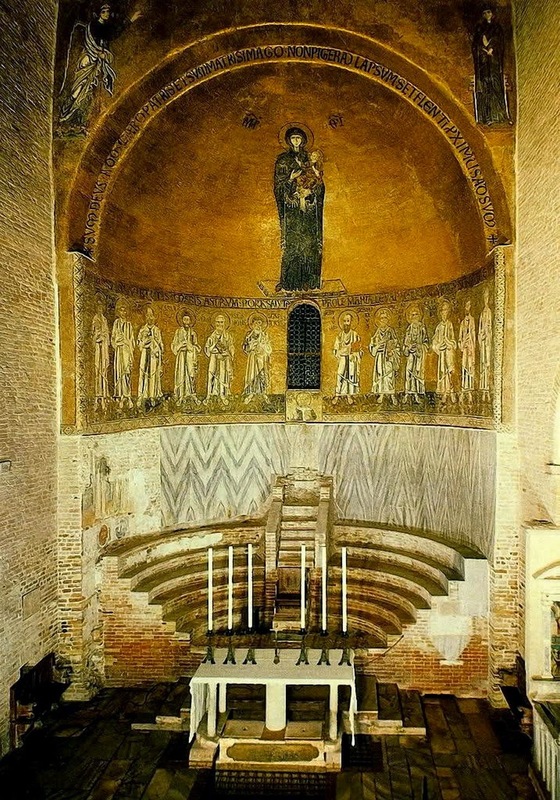 The Basilica di Santa Maria Assunta was first built in 638 and is famous for it’s remarkable mosaics which date back to the 12th and 13th centuries. 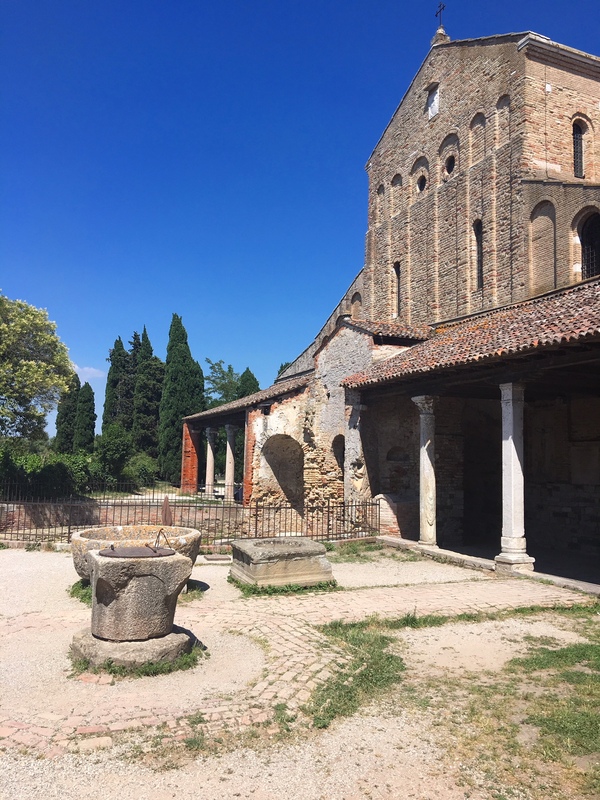 While you are there go next door to the 11th century Byzantine church Santa Fosca, and also go sit in the (strangely comfortable) “Attila’s Throne” concrete chair in the piazza. Legend dates it to the 5th century leader of the Huns, and it is said to be good luck to sit in it. If you have enjoyed this blogpost, please share it on your social media! I would love to hear about your Venice travels in the comment section.